The insides of your teeth are comprised of dental pulp, which is a delicate, hypersensitive network of living tissue, nerves and cells. Because dental pulp regulates the development of dentin, it is vital to the preservation of your dental health. When your teeth become injured or damaged by tooth decay, your dental pulp becomes exposed to microbacterial invasion. Because dental pulp infection can be extremely painful, and can lead to tooth loss, it is important for patients to seek treatment as soon as possible. When your dental pulp becomes infected or damaged, your dentist will use endodontic therapy (also known as root canal therapy) to treat the infection. It is a surgical procedure in which your dentist will make a small opening in your tooth to access the affected dental pulp, which will then be systematically cleared away. The hollowed-out cavity that has been left behind is then disinfected and filled with restorative dental materials. The procedure ends as soon as your dentist applies a filling to seal the opening in your tooth to prevent future bacterial infections. Your dentist may recommend a crown after endodontic treatment to reduce the likelihood of tooth fracture. Endodontic therapy is a safe and highly effective procedure that alleviates extreme pain and saves the affected teeth from becoming damaged or lost. 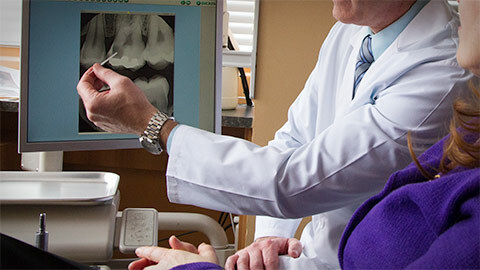 If you need more information about Endodontics in Hanover, contact us today.